Did a sketch for a girl who loves horses (should probably be in all capitals and blinking) and dreams of riding her own horse one day. 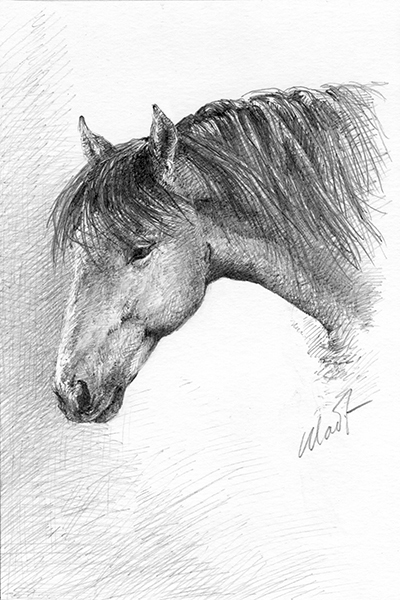 Until then, a very own drawing of her favorite 4-H equine will have to suffice. This is a Birthday gift to her from her big sister.